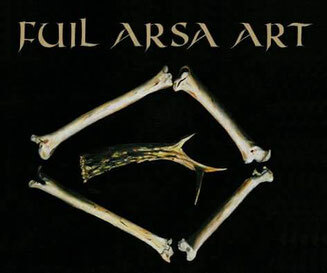 FUIL ARSA ART - Realizing specific conceptual tour productions. 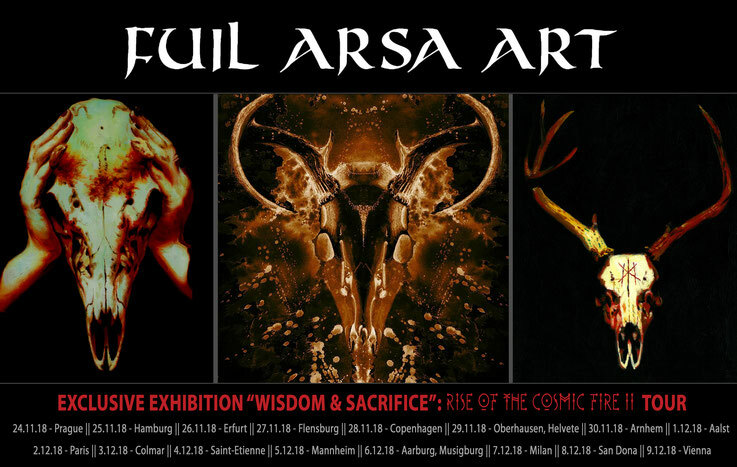 With his exhibition 'WISDOM & SACRIFICE' Fuil Arsa Art will join the entire Rise of the Cosmic Fire II tour. 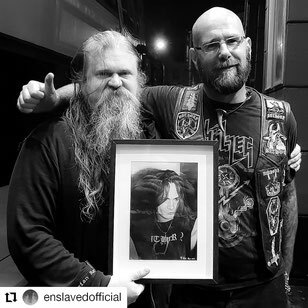 A small selection of his incredible works (prints and patches) will be for sale at the merch. "Tradition is not the worship of ashes...But the preservation of fire." Fuil Arsa Art. I have been drawing/painting since I was a very young child, as I’ve gotten older it’s became more important for me, I think as anybody who's truly passionate about their art I’ve always strived to get better. Its comes from the old Irish/Gaelic language, it translates as Ancient Blood. To me the creation of Art is as essential as breathing. It’s something I’ve never thought about, but as I see my art as an extension of myself, to say I’d be extremely unhappy would be an understatement. From my surroundings, nature, music, ancient symbolism, visions, dreams. At times I feel totally at ease & lost in my work at others frustration (when a concept doesn’t quite work as planned). But generally a sense of satisfaction. My paintings are an offering. A tribute to the natural world, and the inspiration our ancestors received from their surrounds in ancient times. 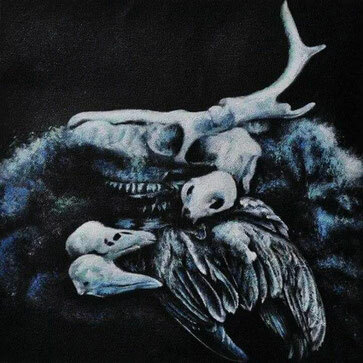 In my recent works particularly the focus has been the spiritual connection between nature and the wisdom of the old God’s, channeled through various representations of life, death, symbolism & rebirth, resonating as wordless tributes to these largely long forgotten fundamental concepts. 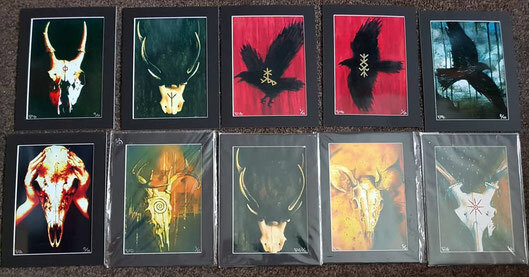 So I suppose if there’s a greater purpose to my Art it’s the hope that whilst looking at it that some people may try reconnect with their own culture's or wisdom of the past. I’ve always felt the drive within myself to create, albeit at certain times very sporadically it’s a part of me that I'll always feel/need to do. Its also a very therapeutic escape from the mundane nonsense of every day living.